The Rashtriya Swayamsevak Sangh (RSS) on 12 March slammed Congress leader Ghulam Nabi Azad for comparing the Hindu right-wing organisation with the terrorist group ISIS, saying that such a remark reflected on the intellectual bankruptcy of the grand old party. 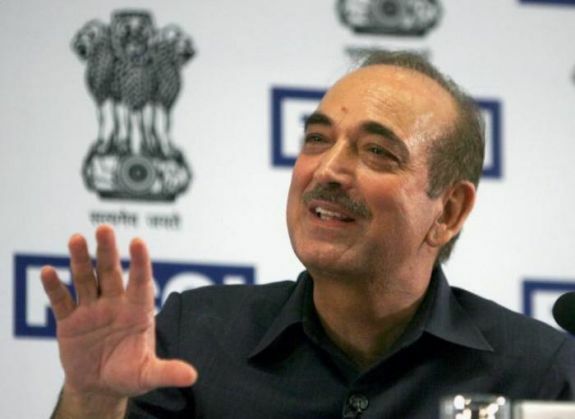 Azad had kicked off a row after he drew a parallel between RSS and ISIS, evoking sharp responses from the Hindutva outfit and BJP, which demanded an apology from him. "Ghulam Nabi Azad comparing ISIS with RSS, exhibits the intellectual bankruptcy of Congress," RSS leader J Nand Kumar said at a press conference in Nagaur, Rajasthan. "So, we oppose organisations like ISIS, the way we oppose RSS. If those among us in Islam too do wrong things, they are no way less than RSS," the Leader of Opposition in the Rajya Sabha said at a event organised by Jamiat Ulama-i-Hind. However, Manish Tewari attempted to downplay his party colleague's comparison of the RSS and ISIS, saying the former was a problem on the domestic level whereas the latter represents the single biggest existential threat to mankind. "Well the ISIS or the IS or the Daesh as it is called represents the single biggest existential threat to mankind. If there is something, which is existential challenge to civilizations as we know it, it is the ISIS and its ideology," Tewari said. "The RSS is a problem, but it is a domestic problem and these guys are rarely ticking around in the basement," he added. Ranbir Kapoor, Katrina Kaif's Jagga Jasoos to release in August 2016? READ NEXT >> Ranbir Kapoor, Katrina Kaif's Jagga Jasoos to release in August 2016?